French: Gobemouche argenté; German: Silberschnäpper; Spanish: Papamoscas Plateado. underparts, wings gray above and orange beneath, and silvery markings on the head and tail. 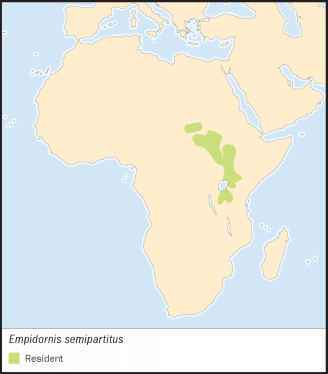 An endemic (or local) species of the highlands of east-central Africa, including parts of Ethiopia, Sudan, Tanzania, Uganda, and Kenya. Occurs in dry and semi-arid forest and woods with scattered large trees, especially acacias, in areas as high as 9,050 ft (2,300 m). A nonmigratory species. Pairs of breeding birds defend a territory. The song is a soft, rich, and warbling. Hunts from a perch in the canopy for flying insects. Also swoops down to take insects from the ground. Usually returns to its original perch. 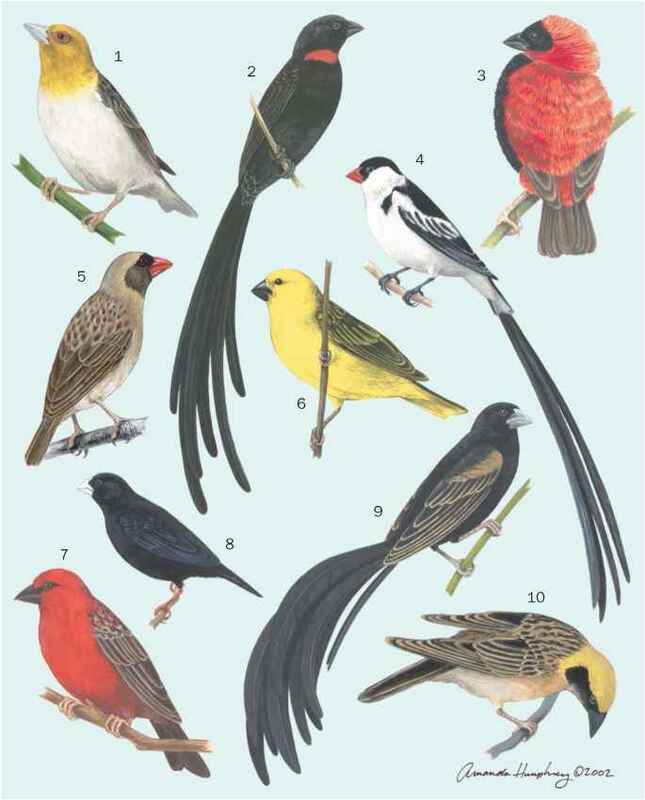 Builds a dome-shaped nest of grass and thorny twigs lined with finer fibers, or may used an old nest of a weaver-finch. Lays two or three olive-green eggs. Not threatened. An endemic species that is locally abundant in its range.